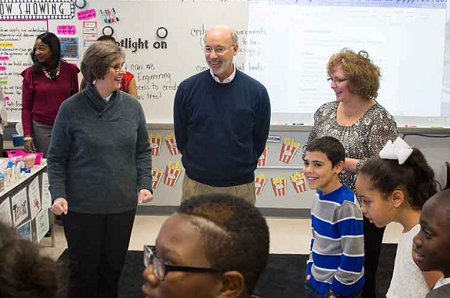 New investments in career and technical education will help public schools to serve Pennsylvania’s student and workforce needs as demand for these programs continues to grow. PSEA President Dolores McCracken and Associated Builders and Contractors CEO G. David Sload published an op-ed on the importance of investing in career and technical education. Our hearts are broken over the tragic events at the Marjory Stoneman Douglas High School in Parkland, Florida. Parents, watch for signs your children are feeling anxious and know you are surrounded by school professionals who care about them, too. When your child is feeling anxious – Reassure your child but don’t deny the feeling. Caring adults should listen and explain that they will help the child work through their anxiety. It’s also important to set a routine and stick to it as much as possible. See Partners' anxiety resource for more. Crisis Text Line – Crisis Text Line offers free 24/7 support to people in crisis, helping people with issues ranging from eating disorders to family crises to suicide and depression. Just text 741741 from anywhere in the USA to text with a trained crisis counselor. Never again – Did you know that an analysis of 30 school shootings found the attackers had told others about their plans in advance four out of five times? Imagine if more people spoke up about threats of violence before they happened. The Sandy Hook Promise is urging parents and caring adults to teach the children in their lives to be ”better bystanders“ and to ”say something“ when they get wind of such threats. Know that when they ”Say Something,“ they save lives. 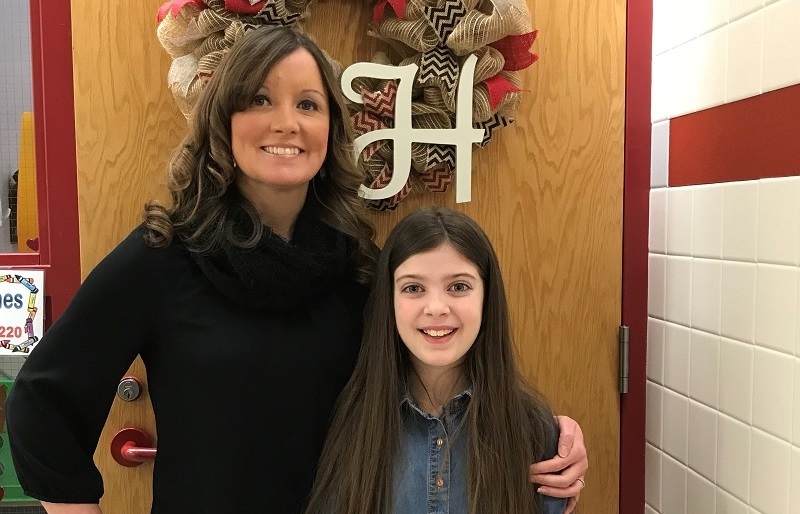 Lillianna Fells, a third-grade student in the North Pocono School District, is the winner of the “My teacher is an Olympian” contest, sponsored by the Pennsylvania State Education Association, Partners for Public Education, and the Pennsylvania PTA. For the contest, K-3rd grade students were asked to write and illustrate three original reasons explaining how an educator or support professional they know demonstrates one or all of the following qualities of an Olympian: friendship, solidarity, and fair play. Hungry? Whether you’re looking for fine dining, a casual meal, or fast food, you can save money with your benefits as a subscriber to Partners for Public Education. To save on your next meal out, simply go to the Access Program website and log in (or create an account using your Partners' membership number). Then look under the "Dining & Food" category (on the left side of your screen) for savings at nearby restaurants, pubs, and markets.